Gerald Lee McRaney was born on the 19th August 1947, in Collins, Mississippi USA, of Scottish and Choctaw Indian descent. He is an actor, who is probably best recognized for starring in films and TV titles, such as in the role of Rick Simon in “Simon & Simon” (1981-1989), as Maj. John D. ‘Mac’ McGillis in “Major Dad” (1989-1993), and playing Johnston Green in “Jericho” (2006-2007). His acting career has been active since 1969. So, have you ever wondered how rich Gerald McRaney is? It has been estimated by sources that Gerald’s net worth is over $5 million, as of mid- 2016. He has been accumulating this amount of money being active on the screens for more than five decades. Gerald McRaney was raised by Clyde and Edna McRaney. Upon matriculation, he enrolled at the University of Mississippi, but before his acting career began, he worked in the oil fields. Gerald’s career began in the late 1960s, with an appearance in the horror film “Night of Bloody Horror” (1969). In the following year he featured in the film “Women and Bloody Terror”, then throughout the 1970s he had many small roles in such TV series as “Alias Smith And Jones” (1972), “Sons And Daughters” (1974), “Gunsmoke” (1973-1975), “Police Woman” (1976), among many others, all of which helped him build his career, and increase his net worth. The next decade changed everything for Gerald, as he was selected for the role of Rick Simon in the TV series “Simon & Simon” (1981-1989), a role which celebrated him as an actor, and also increased his net worth by a large margin. Also in the 1980s, he appeared in such films and TV series as “Neverending Story” (1984), “A Hobo’s Christmas” (1987), and “Murder By Midnight” (1989). In 1989 he was selected for another notable role, as Maj. John D. ‘Mac’ McGillis in the TV series “Major Dad”, which lasted until 1993, increasing further his net worth. He continued successfully in the 1990s, adding several more notable roles to his name, including in such productions as “Deadly Vows” (1994), “Not Our Son” (1995) with Neil Patrick Harris, and “Promised Land” (1996-1999), which also contributed to his net worth. His first engagement in the new century was in the film “Comanche” (2000), as Col. Samuel Sturgis, and the same year he featured in “Take Me Home: The John Denver Story”. Until 2005 he didn’t have any major role, but then he appeared as George Hearst in the TV series “Deadwood” for its third season during 2005 and 2006. After that, he was selected for the role of Johnston Green in the TV series “Jericho” (2006-2007), which also added to his net worth. In 2010 he appeared in the Joe Carnahan film “A-Team” with Liam Neeson and Bradley Cooper, and the same year in the TV series “What If?”. The following year, Gerald featured as Judge David Nicastro in the TV series “Fairly Legal” (2011-2012), and in 2012 he was selected for the roles Captain Patrick Murphy in the TV series “Mike & Molly”, and Barlow Connally in “Longmire”. To speak further of his accomplishments, in 2013 Gerald was selected to play Raymond Tusk in the highly popular TV series “House Of Cards” (2013-2016), and the next year he appeared in the film “The Best Of Me”. In 2015 he was in the film “Focus”, and also found engagement in the TV series “Agent X” as Malcolm Millar. Most recently he has been cast in the role of Judge Blacker in the film “The Disappointments Room”, which is currently in the process of filming. 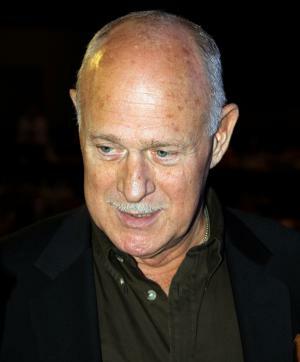 Regarding his personal life, Gerald McRaney has been married to Delta Burke since 1989. He has one child from his previous marriage to Patricia Rae Moran, and two children from his first five-year marriage to Beverly A. Root, which ended in 1971. 1 [in response to the question, "Do you feel like a Marine?" on Major Dad (1989) during an on set 1992 interview by the Department of the Navy's, "Navy News This Week"] It's easy to put the uniform on and pretend, but earning the damn thing is a whole different story. 2 It occurs to me that the only way you can have a positive effect on people's lives through your work is by filling the loneliness -- letting people know they're not in this thing alone. 1 Brother of Buddy McRaney. 2 Tested for the role of "Luke Duke" on The Dukes of Hazzard (1979). 5 Of Scottish and Choctaw Indian heritage. 6 His son is deaf.